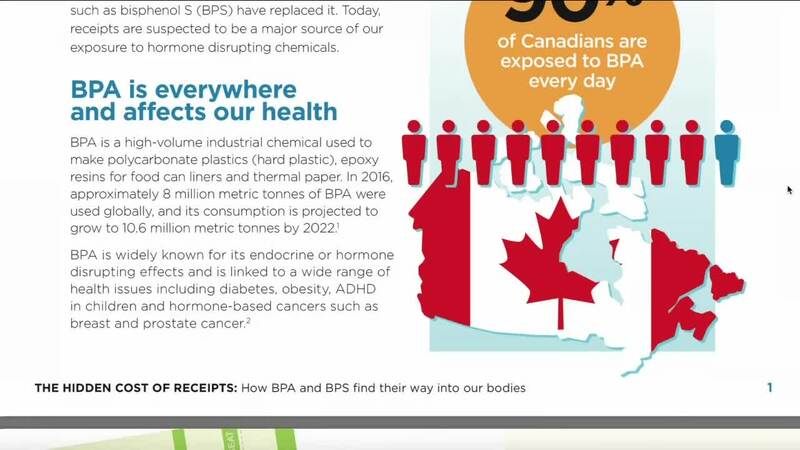 BUFFALO, N.Y. (WKBW) — A group called Environmental Defense out of Canada published a report yesterday saying that "thermal paper" -- things like receipts, movie tickets, and boarding passes -- contain toxic levels of BPA and BPS. Those are two diseases they say can lead to serious defects like reproductive issues, obesity, and breast and prostate cancers. 7 Eyewitness News looked into these claims and found that they might be a little extreme. Dr. Kristen Moysich, a distinguished professor of Oncology at Roswell Park, says the report is misleading. Dr. Moysich says that there have been a lot of studies done on rodents about the effects of BPA, but very few on humans. The research doesn’t always translate in the same terms. She also adds this study was done by a group fo 4 volunteer environmentalists, not scientists. That is not a large enough pool of people to be able to pull scientific data from. At the end of the day, there is no need to panic. You likely won’t develop cancer from crumpling pieces of paper in your purse…so, keep the receipt.